CBT Nuggets offers Accountability Coaching to learners who need a little extra nudge to get them started toward successfully achieving their training goals. Our coaches work with learners and/or managers to help create the tools they need to develop training habits that will sustain an effective training strategy. Follow these five steps to leverage our Accountability Coaching service and get more out of your training experience. 1. Sign up for coaching! 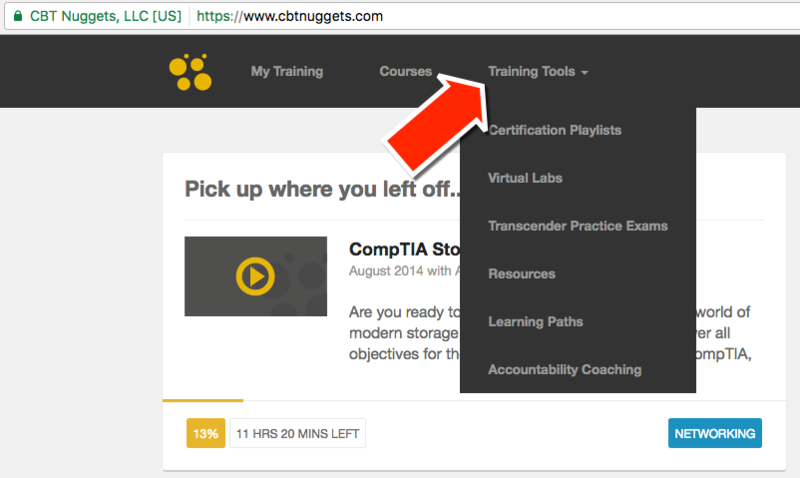 Sign in to your CBT Nuggets and click on the Training Tools navigation link at the top of the page. Select Accountability Coaching from the drop-down navigation options. 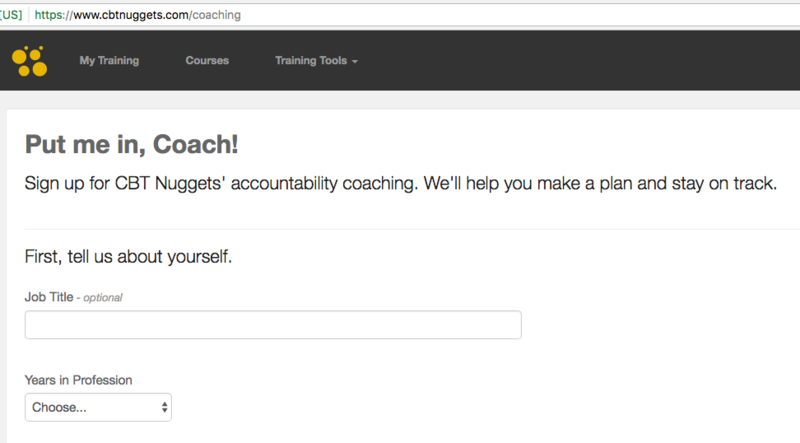 Complete the form to get started with your Accountability Coach. A coach will contact you after you submit the form. In order to best leverage our coaching service, start with the end in mind. Think carefully about what you want to achieve with your CBT Nuggets subscription. Be prepared to discuss your training goals with your coach. If you are a team leader or manager working with coaches to develop a training plan for your team, think carefully about what you want and need each member of your team to accomplish. Pro tip: write down your goals for each team member! Putting it in writing will help you keep appropriate goals in mind throughout the training experience — and make adjustments when needed. It can sometimes be tempting to shoot for the moon with your goals. Be intentional about how realistic your goals are and what it will take to achieve them. Our coaches are here to help you determine a path to achieving your goals and they will offer you feedback, but if you begin with realistic goals, you will be setting yourself up for success! Our coaches will probably ask you about this along your training journey, but be intentional about celebrating your successes! Set milestones throughout your training experience (perhaps it’s a particular score on a practice exam, consistently training for an hour per day, etc. ), and celebrate those accomplishments! 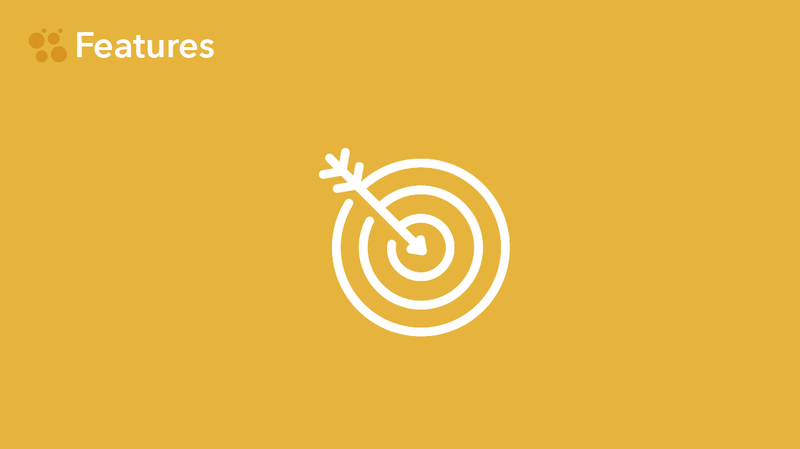 As a manager, be intentional about recognizing milestones achieved by your team to help sustain training momentum! 5. Evaluate your training experience. Take time to talk with your coach about what is working well, and what is not. Think critically about what leads to training success and what barriers you are encountering. Our coaches work hard to help equip you for success, so take full advantage of their knowledge and expertise! 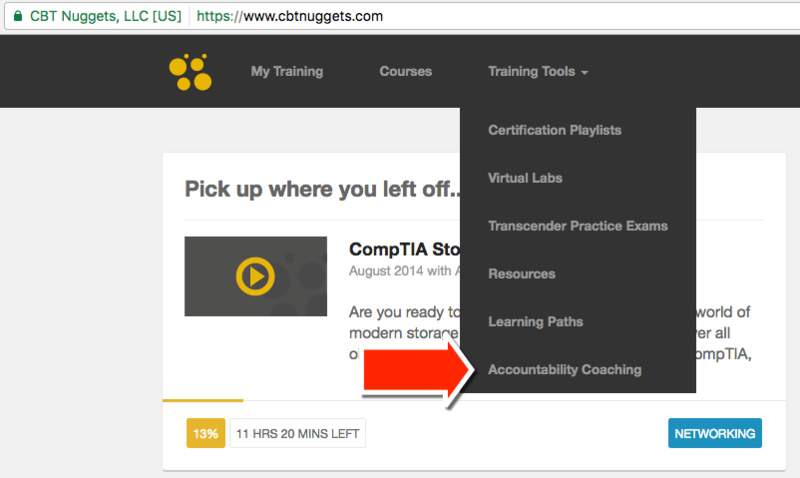 Connect with our Accountability Coaching team today to learn more about how we can help you develop the training structure you need to accomplish all you can with your CBT Nuggets subscription! Not a CBT Nuggets subscriber? Start your free week to start leveraging Accountability Coaching now.